Furniture & Fittings Skill Council is committed to develop world class skilled manpower for the Furniture and Fittings Sector. 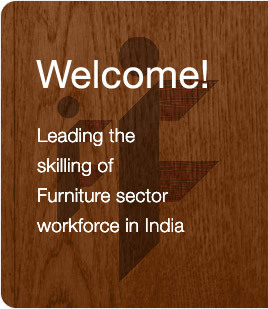 The Furniture and Fittings industry is united to ameliorate skill development in India. The aim of the sector skill council is to focus on establishing an effective and efficient eco-system for development and imparting of skills for the Furniture& Fittings industry including relevant curriculum, courses, information database, delivery…. The 3rd Annual General Meeting of Furniture and Fittings Skill Council being held on 24th August 2018 at India Habitat Centre, New Delhi in the presence of Industry Members.